Gotham explores the childhood life of our most misunderstood superhero: Batman. In the first episode of Gotham, Bruce Wayne has to witness his parents’ murder, robbed at gunpoint, bullets flying through their bodies. That night was the beginning of Bruce Wayne’s alter-ego, Batman. 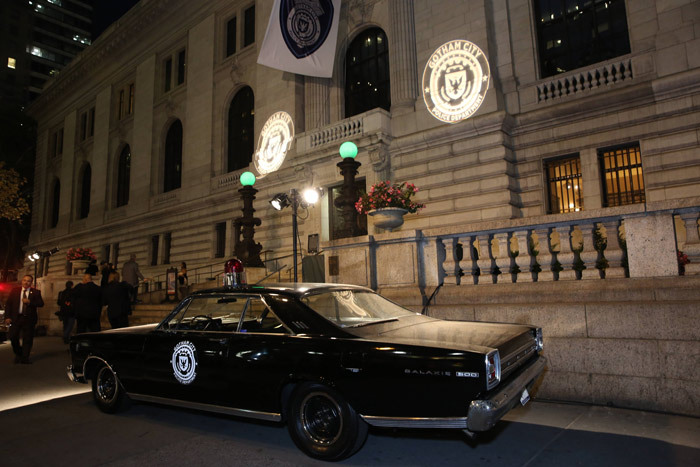 Many of the filming locations from Gotham are featured in The Super Tour of NYC, where you can see popular superhero filming spots all over New York. Gotham is diverged from the comic book series Batman. It is different from the comic book series because it focuses more on Bruce Wayne and detective James Gordon, played by the amazing Ben McKenzie. There are many other well known and new stars on the show. The villains featured on the show include The Penguin (Robin Lord Taylor), Poison Ivy (Maggie Geha), and Mr. Freeze (Nathan Darrow), while some of the protagonists are Harvey Bullock (Donal Logue), Alfred Pennyworth (Sean Pertwee), and Barbara Kean (Erin Richards). It’s up to the heroes of Gotham City to take back control from the crooks/villains. In Season 3 Episode 2, the Brooklyn Army terminal, formerly an equipment base during WWII, was used to house special drugs that Fish Mooney (Jada Pinkett Smith) and Selina Kyle (Camren Bicondova) are desperately searching for. New York City’s Municipal building on 31 Chambers Street is where Commissioner Loeb (Peter Scolari) resigns, making Sarah Essen (Zabryna Guevara) the new police commissioner. The setting of Alfred and Bruce (David Mazouz) quarrel in Season 2 was in Grand Central Station. Grand Central Terminal is just a hop, skip, or a subway ride to Central Park, where On Location Tours guides visitors who come from all over the country to see Central Park’s most iconic television scenes.